At Milledgeville, GA I met with artists and curators Juan Negroni, Beto Torrens and Anabel Vázquez, who brought to the Georgia College Museum the exhibitions Pie forzado.001 (Negroni) and Carry-On: Puerto Rico Inspected (Torrens and Vázquez). Both exhibitions are running now until May 10th, 2013. I start the conversation with Juan Negroni, who explores the concept of active-passive in his exhibition Pie forzado.001, which he uses as an excuse to have fun with peers while exploring concepts and unconventional methods. In Puerto Rico he participates in many artist-generated efforts for collective work, exhibitions and events. He brought the work to Georgia as an auto-generated effort for exploring new scenes outside of Puerto Rico. This trend for auto-generated work, or what I will later call autonomous management, proposes transformation of the artwork and of the audience through a dynamic offering. In Puerto Rico this trend is rising amongst artists who's work and proposals are not interested in the museum or gallery environments. To explore more about this and other implications of the current state of Puerto Rico's art scene, Beto Torrens joins the conversation. In partnership with fellow artist and curator Anabel Vázquez, Beto brings to Georgia Carry-On: Puerto Rico Inspected. Similar to Negroni's experience, auto-generated efforts move his work and those of colleagues through his own space in San Juan, PR. Traveling through different cities around the U.S. with his curatorial works has become an enormous sacrifice which is very important to him because he is able to spread the word of what's Puerto Rican art today. These artists and others back in Puerto Rico, in collaboration with fellow colleagues and supported by an evolving art scene, are diversifying their skills not only for survival but for spreading new ideas to peers and to the audience. As complex creative entities they are ambassadors for art, and change agents for the art community. M- What is your creative process as an artist and as a curator? How are these difference and what are their encounters? Negroni- It happens to me that when I am curating a project sometimes I can’t find a way to include myself in the project. I am interested in what people can think, but I really don’t see a problem if the project is mine that I can include myself in it. Sometimes a project can come from a form, material and content anxiety that I have. Sometimes there is something I want to solve at a material level but in the way I work, it might not let me discourse it properly. What I do is I invite friends and people I know to talk about how they would solve it, or how they would address these topics. It happened to me once that I did an exhibition at the Art League that had to do with urban distribution in the metropolitan area of San Juan. I wanted to participate in the exhibition, but my work at that time did not let me accommodate myself in it. For that I worked with artists such as Martín Albarrán and Rafael Báez; people I knew whose approach would add a lot to the remark I wanted to convey about multiplicity of possibilities of addressing problems that affect us all. Sometimes my creative processes have a relationship, sometimes not. At the same time my work is very willful; sometimes it comes from a personal comment, an idea that is very mine, or an internal joke with my brother. It can be very casual. I’ve been told my work seems like snapshots of very specific moments, moments of tension that are captured by a photo... maybe I have to revise what I think I’m doing, because I might be doing something else without noticing. M- What contrasting situation do you find as a curator trying to take out projects from Puerto Rico and then bringing them back? Negroni- It is very good that the Georgia College Museum accepted within their efforts, that sometimes have to do with budget and logistics, to make sure the pieces reach their destiny. This is very important because otherwise the project would not have been possible. If the artist was not willing to send the work I would have had to look for an alternate place for where to prepare the exhibition. Having it be in Puerto Rico, would’ve not achieved as much. I think that having come all the way here is very important, and that you were able to came here to know the exhibition. It's very important that it happened here. If it happened in Puerto Rico it would be very different. In Puerto Rico the exhibitions are going unnoticed. They become a social event, people arrive in bicycles, they have a beer, and when the beer is finished they go. The issue is that the museological term in that sense is very important; it is very important to me in my career as an artist and curator, as well as for other colleagues. I think that it is also satisfactory to be able to contribute, because there are a lot of talented people accumulating work in their workshops, and they do not know what to do with them because in Puerto Rico there is no culture for collecting. I don’t think there has ever been. The efforts have not been sufficient, and also I think that the centralization of art in the metropolitan area has negatively affected the artists. M- What does autonomous management mean for today’s artist? How does the gallery culture affect or becomes affected by it? Negroni- The art scene in Puerto Rico is affected by autonomous management. For example, Beto has his gallery and business. Yet, this is most of all a place for encounters where many of us have had a great opportunity to expose in a formal space, have had the opportunity to profit, but it is a project that comes from the effort of another artist. Beto - The concept of autonomous management is very important in this context. In fact, all of this that we’ve been doing here in completely autonomous. In my case, bringing 35 contemporary artists from Puerto Rico to another place outside of Puerto Rico, who does that? I was invited to be a curator, and I was invited to a gallery. I could’ve done an exhibit with one person, I could’ve done something of mine, or three artists. But people have to find out what’s going on out here, so I went with the idea of inviting a lot of people and suddenly there were 35 people. But everything has been autonomous even in the way it emerged. Originally Carry-On was an exhibition for Boston. It is called this way because it literally went to Boston in carry-on bags. Between Anabel, friends and colleagues from Boston that went to Puerto Rico, we had assigned a carry-on bag to take back. The exhibition became an itinerant exhibition because of autonomous management, but also by itself. Someone came to see it and said it was interesting if we could take it somewhere else, so I literally packed everything, put in a car, and drove to New York; and then the same to another place. Negroni- Its like a gypsy exhibition. Carry-On became more than an exhibition, it is a subject, like a separate individual that moves from place to place. To me it was great when Beto called me for it. I spent a couple of days thinking about the concept, because if you’re talking about the concept of carry-on, I want to know what it means. I started research, and tried to find out what it meant to us. I went through a few objects, then went with the parachute. When I started working with the parachute, I gradually reached an image that was what I worked for the piece which is the soldier with the pigeons. Autonomous management is what is moving things around in Puerto Rico. We have the Museum of Puerto Rico, Museum of Contemporary Art, Ponce Art Museum. Even the Museum of Contemporary Art benefits from the artists self-management because they wait for the artist to do the work, and once they accommodate and acquire what they need, then the museum says OK you are worthy. The museum now only says here it is, like they’ve discovered something. Beto- The most significant activity of the art community in Puerto Rico is done with autonomous management: Santurce en Ley. Galleries are convened and willing projects, and we do it ourselves. This is because big institutions do not fulfill our needs. Negroni- To their purpose, they present the issue like it were us who do not fulfill the expectations. However, is the opposite. The museum doesn’t have anything to offer me as an artist. What do they give me? Another line on my resume? That is not going to change my work. On the contrary, it could institutionalize it and damage it, because the museum does not have the vision. Museums are not exempt from a bureaucratic vision of the processes of art, then everything is mechanized and founded upon paperwork, and that can damage your work. We lost Circa which was an young art fair which was a genuine attempt. After that Santurce es Ley emerged. Beto- When I started with Carry-On I went everywhere in search for support, in Puerto Rico, to all institutions. No one gave me support. I sold an artwork from my personal collection, a piece by Cecile Molina, and with the money from the piece I did the exhibition. Negroni- There are no earnings from this. Beto- With the travels of Carry-On I have made no money. But that is not important; what is important is that people hear about it. Here in Georgia is where I’ve been treated the best in terms of getting the work shipped here and back, a curatorial fee, etc. Elements that should be basic, and that institutions in Puerto Rico should be able to support us because we are making the efforts of taking artwork out of Puerto Rico. Negroni- It would be beneficial to them to be able to say this exhibition is in collaboration with this or that museum. You have another problem; people like Beto are doing a great effort in their spaces, they do it to be able to survive and in the way they help other artists. But you have people who take advantage that artists don’t have a fixed salary for selling their artwork at very low prices. This has not let the market improve. People act with badly managed intentions. Those people have to ask themselves, what are we doing for the rest of the people? The least I can do is rejoice for my peers and help them when I can. It really fills me with price when my friends do well because they are my colleagues. With the issue of autonomous management, an environment for camaraderie has been created. For example in the space I’m in at Cerra street, we do things amongst ourselves, and others have a place to work when they come to Puerto Rico for a while. Down the street there is another space run by colleagues that when help is needed they close down their workshop and come help. It has something to do with good education; there is no use if I don’t try to amend people who are doing good things and bad things. Maybe if I give the example with good practices other people can follow. People notice good work, which creates precedents for diffusion. As a professor I bring other people to the scene. I have faith that in a couple of years a revival may occur, because we are gradually educating people. And I say educate in the most humble way because there has to be many people doing the same for it to work. A transformation for the audience is coming. M- Do you see a return to the gallery, to the museum? How would it be if you want to recapture that scene? Negroni- We have faith in Carmen Yulín. Beto- We have great faith in Carmen Yulín. Its serious, something quite crazy that’s going on in Puerto Rico. There has been a big change in the concept of what is art, and what is Puerto Rican art. Before you would say Puerto Rican art and it was something traditional. Nowadays I can’t keep up with everything that is going on. Not long ago did I find out about Juan’s new job. Negroni- I work as a professor at a university, and now I move to the administrative level to do other work. Beto- To me that is the light at the end of the tunnel. A person like Juan to be up there... to me is the same thing with Carmen Yulín. I see now that it is possible, that we can do it, that people from my generation, with the mind and proposals like Juan has, to be up there they give me energy and hope that things will change. Change is always necessary. Negroni- The government has to establish priorities, and study other countries’ priority of the arts to serve as example. Beto- It is about using history as a framework. Art is one of the activities most important to determine a time for a country or territory. If the government doesn’t support the arts, there will be no history to tell. M- ¿Cómo es tu proceso creativo como artista y como curador? ¿Cómo se diferencian y cuáles son los encuentros? A mí me sucede que cuando voy a curar un proyecto a veces no encuentro cómo incluirme yo en el proyecto. A mí también me interesa qué es lo que pueda pensar la gente, y la gente piensa ah como es tuyo pues enseguida te acomodaste. Y realmente después de todo no le veo el problema que si el proyecto es mío me pueda incluir dentro del proyecto. Entonces a veces un proyecto puede venir de una inquietud plástica que yo tengo, a veces hay algo que yo quiero resolver a nivel plástico pero en la manera que yo trabajo mi obra, a lo mejor no me permite disertarlo de una manera plástica, entonces lo que hago es que invito a panas o gente conocida para hablar un poco de cómo ellos lo solucionarían, o cómo ellos abordarían esos temas. Me pasó una vez que yo hice una exhibición en la Liga de Arte que tenía que ver un poco con la distribución urbana del área metropolitana de San Juan. Yo quería participar de la exhibición, pero mi obra no me permitió en ese momento acomodarme. Pero entonces trabajé con gente como Martín Albarrán, Rafael Báez; gente que yo sabía que su approach le iba a añadir un montón al comentario que yo quería hacer que era multiplicidad de posibilidades de cómo resolver problemas que nos competen a todo el mundo. A veces tiene mucho que ver, y a veces no. Igual mi trabajo es bien caprichoso; a veces sale de un comentario mío, una idea que es muy mía, o un chiste interno que yo pueda tener con mi hermano. Puede ser bien casual. Yo estaba hablando con un compañero de taller y me dice: tú dices que tu trabajo es muy casual pero a mi me parece que tu trabajo son snapshots de momentos muy específicos; que en mi obra en general se ve mucha tensión; que es como si hubiese habido algún clímax en una situación y hubieses tomado una foto y se hubiese utilizado eso. Así que a lo mejor tengo que revisar un poco eso, lo que yo creo que es lo que estoy haciendo, y a lo mejor estoy haciendo otra cosa sin darme cuenta. M- Qué situaciones contrastantes te encuentras como curador tratando de sacar proyectos de Puerto Rico o tratando de devolverlos una vez sales de acá? Es súper nítido que el museo haya aceptado, porque dentro de las gestiones de los museos, y a veces por la cuestión del presupuesto o la logística de cómo el museo funciona pues las piezas van a llegar a su destino. Puede ser que me lleguen todas a mi o puede ser que lleguen directo a cada artista. Eso es una parte súper importante porque de otra manera el proyecto no se hubiese podido dar. Si el artista no estaba dispuesto a enviar pues tenía que buscar un sitio alterno entonces en dónde preparar la exhibición. Entonces haberla hecho en Puerto Rico, no se si era lograr tanto. Yo creo que haber llegado hasta acá, que tú hayas venido hasta a conocer un poco de la exhibición, yo creo que es súper importante que se haya dado aquí. De otra manera en Puerto Rico... en Puerto Rico las exhibiciones están pasando desapercibidas. Se convierten en un evento social, la gente llega en bici, se dan una beer, y cuando se acaban las beers, que ahora cada vez se acaban más rápido, se van. El asunto es que el término museológico en ese sentido es muy importante, y es muy importante para mi como mi carrera de artista y curador, como para los demás colegas. Yo creo que también es satisfactorio aportar un poco, porque hay un montón de gente súper buena que están acumulando pilas de obras en los talleres, y no encuentran qué hacer con ellas porque en Puerto Rico no hay la cultura del coleccionismo. Yo no estoy segura si ni siquiera existió, yo creo que es que no ha existido. Y entonces los intentos que han habido por que se de no han sido suficientes y yo creo que la centralización del arte en el área metropolitana ha jodido mucho a los artistas. Y la cosa está aguantá. M- Recién sales de una exhibición en La Productora. Qué significa la autogestión para el artista hoy día y cómo esa cultura de galería afecta o queda afectada por ello? El art scene en Puerto Rico está fundamentado en la autogestión. Por ejemplo, Beto tiene su galería y es un business. Pero más que todo es un lugar de encuentro donde muchos de nosotros hemos tenido una súper buena oportunidad de si queremos un espacio formal, hemos tenido hasta la oportunidad de ingreso, pero es un proyecto que sale del esfuerzo de otro artista. Beto- La palabra autogestión es bien importante en todo este contexto. De hecho, todo esto que nosotros hemos hecho acá es una autogestión completa. En mi caso, el llevar 35 artistas contemporáneos de Puerto Rico fuera de Puerto Rico.... quién hace eso? A mi me invitaron para ser curador, y me invitaron a una galería. Yo pude haber hecho una exhibición de una persona, pude haber hecho algo mío o algo de tres personas. Pero la gente tiene que enterarse de lo que está pasando aquí, y me fui en el viaje de invitar a medio mundo y de repente eran 35 personas. Pero todo ha sido una autogestión y en la manera en que surgió. Originalmente era una exhibición para Boston. Se llama Carry-on porque literalmente así fue que llegó a Boston, en bultos carry-on. Entre Anabel, yo, panas y colegas artistas de Boston que fueron a Puerto Rico, pues mira tienes que llevar estos carry-on. La cuestión de que se haya convertido en una exhibición itinerante fue por la autogestión, pero también por sí solo. De repente llegó Miguel a la galería un día: ah, eso suena interesante vamos a llevarlo al Clemente. Y yo literalmente fui para Boston, empaqué todo, me monté en un carro, guié hasta Nueva York. Después hice lo mismo y lo lleve a otro lado. Juan- Es como una exhibición gitana. Carry-on se convirtió más que en una exhibición, es un subject, es ya como un individuo aparte que se mueve de un sitio a otro. A mi me parece fenomenal cuando Beto me llamó... estuve par de días, pero yo nunca digo que no y por eso a veces me meto en problemas y estuve como un par de días pensando y trabajando con el concepto. Si tu me estás hablando de un concepto carry-on, qué es lo que significa. Me puse a hacer un research y buscar a ver qué es y qué significa para nosotros. Yo fui del celular hasta el condón, hasta el paracaídas. Y entonces cuando comencé a bregar con la cuestión del paracaídas, fui poco a poco llegando a la imagen que después yo trabajé para la pieza que es la del soldado con las palomas, que mucha gente me pregunta que si son gallinas. Pero la autogestión, ahora mismo en Puerto Rico es lo que está moviendo las cosas. Porque qué tenemos? El museo de Puerto Rico, el Museo de Arte Contemporáneo, el Museo de Ponce. Y aún así, el Museo de Arte Contemporáneo se está beneficiando de la autogestión, porque qué hacen? esperan que los artistas hagan todo el trabajo, que ya estén acomodados, ya conseguí lo que quiero, entonces el Museo dice ah OK ya eres digno. Ahora el Museo lo único que hace es: míralo, aquí está. Como si hubiese hecho el súper descubrimiento. Entonces tienes el museo donde la dirección a nivel administrativo es fatal. La Escuela de Artes Plásticas ha decaído, que parece un campamento de verano. 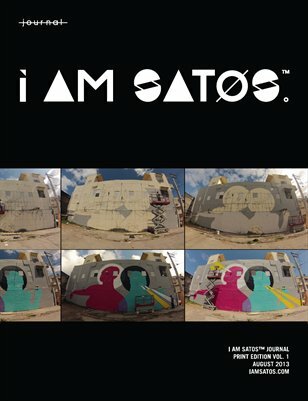 Beto- La actividad más significativa en el mundo del arte, que ha pasado en Puerto Rico es una autogestión también... Santurce es Ley. Que vamos para la cuarta ahora, viene de Alexis Busquets. Este convoca a las galerías y proyectos dispuestos, y lo hacemos nosotros. Esas instituciones establecidas, grandes, no llenan nuestros requisitos, lo que nosotros necesitamos. Negroni- A los efectos, ellos lo presentan como que somos nosotros lo que no llenamos las expectativas de ellos. Sin embargo, es todo lo contrario. El museo no tiene nada que ofrecerme a mí como artista. Qué me dan? Otra línea en mi resume? Eso no va a cambiar mi obra. Todo lo contrario, me la puede entonces institucionalizar y me la puede dañar, porque el museo no tiene esa visión. Ellos no están exentos de una visión burocrática de los procesos de arte, entonces todo es tan mecanizado y está tan fundamentado en los papeles que te pueden dañar la obra. Nosotros perdimos Circa que una feria de arte, que era una feria joven pero fue un intento genuino y muy bueno. Yo creo que después de eso fue que salió Santurce es Ley. Beto- Cuando yo empecé con lo de Carry-On yo me tiré para todos lados a buscar apoyo, en Puerto Rico, en todas las instituciones. Me tiré a escribir propuestas, hice cuanto movimiento puedes hacer, y nadie me dio apoyo. Yo vendí una pieza de mi colección personal, una pieza de Cecile Molina, y con el dinero de esa pieza yo hice la exhibición. Beto- En esto yo no he hecho nada de dinero. En todo el viaje, y toda la travesía que ha hecho Carry-On. Pero eso no es lo importante, lo importante es que la gente se entere. Aquí en Georgia es donde mejor me han tratado en cuestión de que me pagan en shipping, tienes un curatorial fee, etc. Cosas que deben de ser básicas y cosas que las mismas instituciones de Puerto Rico deben de apoyarnos a nosotros que estamos haciendo estas gestiones de sacar obras de Puerto Rico. Negroni- Que les conviene que un proyecto como este diga: con la colaboración del Museo de Arte de Puerto Rico o con la colaboración del Museo de Arte Contemporáneo... Y tienes otro problema también; tienes gente, por ejemplo Beto que está haciendo un esfuerzo por mover su espacio, porque moviendo su espacio come, y mueve a otros artistas. Pero tienes otra gente que están aprovechándose que el artista no tiene un ingreso fijo para comprarle piezas a precio de liquidación, las metan en un baúl y vayan por las oficinas de los abogados y de los coleccionistas a vender a precios de quemazón. Entonces eso no ha permitido que el mercado mejore. Hay unas intenciones mal manejadas. Entonces, realmente estamos haciendo algo por los demás? Yo lo menos que puedo hacer es alegrarme por mis compañeros, y si los puedo ayudar los voy a ayudar. Pero todo el mundo dice que si fulano de tal está haciendo una porquería y mira dónde está. Mano, pero está ahí y a mi me llena de súper orgullo que mis panas les vaya bien porque son tus colegas. Beto- Eso pasa como sí somos hermanos pero... yo lo veo muchísimo. Yo navego en las artes; brego en las artes plásticas pero soy músico profesional también. Y es así; en vez de alegrarse y apoyarse, este está allá haciendo eso pero yo estoy acá en lo mío. Negroni- Con el asunto de la autogestión se ha creado un ambiente de camaradería, por ejemplo en el espacio que estoy ahora en la calle Cerra, que está Martín y está Roberto, un arquitecto. Hacemos cosas entre todos, otros que vienen por un rato a Puerto Rico pueden tener su espacio allí. Más abajo en la calle están otros colegas; y cuando se necesita ayuda cierran sus talleres y se vienen a ayudar. Es una cuestión de educación, y a mi no me sirve de nada no tratar de ayudar a enmendar gente que están haciendo cosas bien y cosas mal. Si yo doy un ejemplo a lo mejor la gente se le contagia. Beto ha hecho una labor titánica, y la gente lo está notando, y eso crea unos precedentes. Y la gente se empieza a contagiar con la buena obra. Yo tengo fe que de aquí a unos par años van a haber un renacimiento, gente que los estamos educando poco a poco. Y digo que estamos educando y lo digo con mucha humildad porque tiene que haber mucha gente haciendo lo mismo para que funcione. Lo del público, eso va y viene. M- Entonces es cíclico o ven alguna vuelta al museo, o la galería? Cómo sería capturar nuevamente esa escena? Beto- Tenemos mucha fe en Carmen Yulín. En serio, es una cosa bien loca que está pasando en Puerto Rico. Es que ha habido un cambio tan grande en los conceptos de qué es lo que es arte de por sí, y de lo que es arte puertorriqueño. Antes tú decía arte puertorriqueño y era esa cosa tradicional. Hoy día, yo mismo no puedo estar al tanto de todo lo que está pasando. Yo mismo me digo diantre y de dónde este salió. Aquí hace par de días me entero del trabajo nuevo de Juan. Negroni- Yo empecé a trabajar ahora a dar clases en una universidad, y ahora voy a empezar a nivel administrativo a hacer otras cosas. Beto- Para mí eso fue como ver la luz al final del túnel. Una persona como Juan que esté allá arriba para mí eso es igual que ver a Carmen Yulín de repente. Veo que es posible, que lo podemos hacer, que el tener gente de mi generación y gente con la mente y el tipo de propuesta que tiene Juan, que estén allá arriba me dan un aliento de que sí, esto va a echar pa’ lante y que va a cambiar. Los cambios hacen falta siempre; son muy necesarios. Negroni- El gobierno puede establecer prioridades. Estudiar la prioridad que les dan otro países para servirles de ejemplo. Beto- Es usar la historia como marco de referencia. El arte sí es una de las cosas más importantes para determinar un cierto momento de un país. Si el gobierno no apoya el arte, pues no va a haber historia qué contar. Tagged with ART, PUERTO RICO, TRAVEL, ARTISTS. April 3, 2013 by Mariana Ortiz-Reyes.